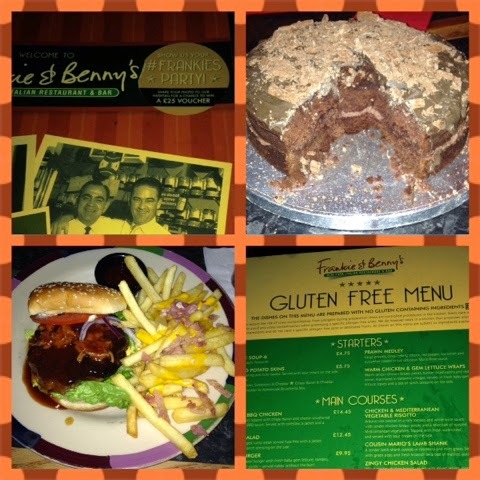 Birthdays, Frankie & Benny’s and Gluten-Free Cake! This is the Gluten- Free Cookbook by Heather Whinney, Jane Lawrie & Fiona Hunter that I won, and it’s come in very useful for my gluten-free loving friend Steve! Last night we decided to head to Frankie & Benny’s for birthday celebrations for two of our group, my husband being one of them! 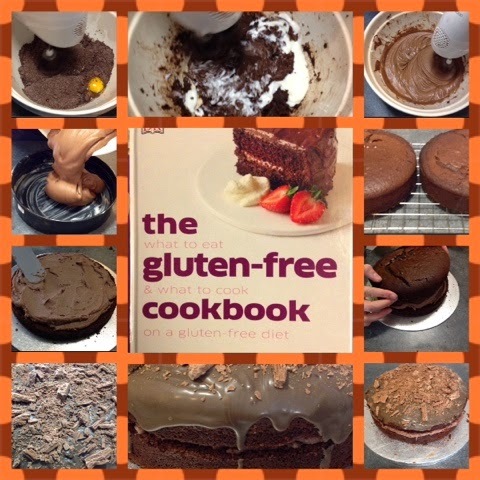 I decided weeks ago to make the birthday cakes gluten-free with my beautiful competition win cookbook. I did slightly deviate from the recipe to make it my own, and I am glad I did as I feel it turned out much better, I have always liked playing around with recipes! Anyway this was my first attempt at a gluten-free cake and I had no complaints at the end of the night so must have been good! I topped the chocolate cake with melted milk chocolate and crumbled flakes, the centre was chocolate buttercream. Perfect for a chocoholic like me! Our visit to Frankie & Benny’s was brilliant! They took the birthday cakes to the kitchen as we arrived, ready for the end of our meal. They supplied us with a separate gluten-free menu with the main menu’s which was very helpful. We had sharing dough balls to start with for us that were non gluten-free, while we were deciding on our mains. I chose to have the pulled pork burger as shown above, which was very yummy! Everyone agreed all our food was great! I have to give a special mention though to the cheese and bacon fries, mmmmm they were amazing! I noticed on the front of the menu that they do a competition to win a £25 voucher if you tweet them a piccy of your party using the hashtag #Frankies. So that’s what I have done! 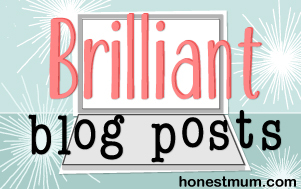 A competition addict like me cannot miss the chance to enter! At the end of our meal the lights dimmed and then the music started! The staff came out with the cakes singing happy birthday at which point the whole restaurant started singing as well! It makes for a lovely atmosphere, and was the topping on the whole evening! They did live up to their promises of Great Food, Great Service Guaranteed! I would love to hear if you have ever tried any gluten-free foods, this was my first time and I have to say I am impressed. The texture is different to a normal cake, but still tastes good!. I found afterwards I felt much lighter in my stomach and not bloated at all. I need this in my mouth now. Gorgeous!! That pulled pork burger is yummy I will have to try the ham and cheese fries. Good luck on competition. I have tried lots of different gluten free foods and have been impressed with how many options there are out there now.